We specialise in House Removals Newcastle. Catering for movers with all sized homes. No matter where you're moving to, we have it covered; from local removals to overseas. Here at Beveridge removals Newcastle. we are a well established removal company. With 25 years experience within the removal industry, it's fair to say that we know a thing or two about moving house! In-fact, we consider ourselves to be experts, masters of our trade. We use our wealth of knowledge and experience whilst carrying out our work to a very high standard. Ensuring that our customers moving experience is second to none. We take pride in our work, our appearance and our reputation. 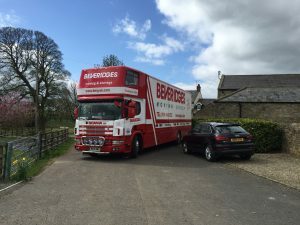 Why use Beveridge Removals Newcastle? First of all we'd like to point out that most of our work is repeat-work and recommendations from the people that we have moved. To us, this means that we are doing our job properly and our staff are succeeding in what we set out to do which is provide a service to the people of Newcastle like no other. Protection of your property is paramount to us. We go the extra mile and have the equipment to ensure that we leave your worldly possessions the way that we found them. Some of our equipment includes sofa covers, which are a purpose made wrap which fit around your sofas snugly ensuring that they don't rub on door frames and such as they are carried in and out of the properties. Another piece of equipment that we utilise are mattress sacks. We consider mattresses to be a personal item that should be treated with care. Our mattress sacks are a polythene sheaths that we place your mattresses inside whilst in the bedroom at the collection address. This means that your mattresses will never come into contact with anything outside of the room that we found them in. A small but personal touch that we think is a necessary step in the taking care of our customer's possessions. Televisions, particularly the modern, flat type were never designed to be moved. They're happy enough sitting there on your media unit, or even hanging on your wall! But up-rooting them and transporting them to your new place does take them outside of their comfort zone and unfortunately, if they're not in their original box, we can't insure them. We do however do everything that we can to protect them on their travels, using purpose made television carrying bags which are like armour, for TV's! By placing a television in a TV bag we minimise the risk of damage. All of our vehicles are equipped with the standard removal accessories such as thick blankets, straps and webbing which we use to wrap and secure your property before transporting them. In doing this, we minimise the risk of rubs, knocks and scratches by protecting and securing everything before the vehicle makes it's way to your new home. Residential, office and commercial removals. Professional full or part packing service. Supply of all packing materials. FREE loan of hanging garment carriers. Local, U.K., European and International moves. Specialist packing for sofas, televisions and mattresses. Piano, Antique and Fine Art specialists. So what are you waiting for? Get in touch for a no fuss, no obligation quote today! Use the form on this page to register your interest in our house removals Newcastle service and we'll be in touch as soon as we can.